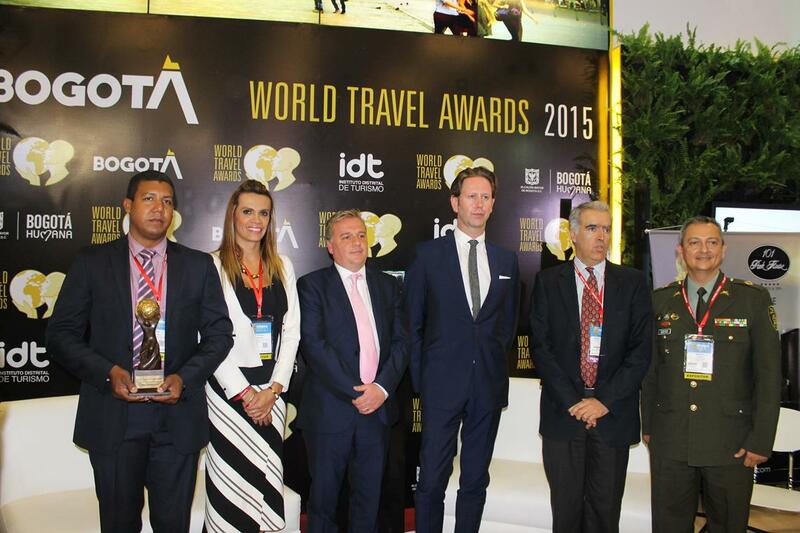 Bogotá will host the World Travel Awards Latin America Gala Ceremony in October this year. The largest tourism showcase in Latin America, ANATO welcomes thousands of industry leaders from across the region to the Colombian capital each year. World Travel Awards’ senior vice president Christopher Frost and global business director Sion Rapson were this year on hand at Vitrina Turística de ANATO to reveal details of the planned event. World Travel Awards global business director Sion Rapson said: “It is an honour to be welcomed here to Bogotá and in particular to Vitrina Turística de ANATO 2015. Recognised by World Travel Awards as South America’s Leading Business Travel Destination in 2014, Bogotá has grown to become the leading light in South American tourism. Tatiana Piñeros Laverde, director general, District Institute of Tourism of Bogotá, added: “This is a perfect opportunity to raise and consolidate Colombia’s profile as an attractive destination for business travellers and tourists, and to show the world why Bogotá is a city of infinite possibilities, and why it is one of the best tourist destinations in Latin America. “The World Travel Awards Gala Ceremony will increase hotel occupancy and tourist arrivals in Colombia, and will give Bogotá access to a broader market of some 90 million potential customers worldwide. “The district Tourism Institute, the tourism associations, and Bogotá as the Latin American WTA host city, are working hard not only to make this gala event an unforgettable night, but also so that attendees can enjoy the best that Bogotá has to offer, whatever their particular interests may be. Bogotá has a varied nightlife offering domestic and foreign tourists alike different options and styles. A permanent cultural agenda incorporates more than 60 museums and art galleries, with the city also home the most famous rock festival of the continent - Rock al Parque. World Travel Awards was established in 1993 to acknowledge, reward and celebrate excellence across all sectors of the tourism industry. Today, the WTA brand is recognised globally as the ultimate hallmark of quality, with winners setting the benchmark to which all others aspire. In 2015, WTA will celebrate its historic 22nd anniversary.